In order to achieve its objectives, SOCIB is composed of three Divisions, plus three horizontal Services that provide central support to the Divisions in achieving their objectives. Systems Operation and Support Division (SOS Division) is responsible for establishing the ocean observing and forecasting network, extending from the emerged beach out to the outer limit of the continental slope, and combining the latest technological advances in sensors, systems for continuous parameter acquisition, data archiving, pre-processing and near real-time data analysis. SOCIB is therefore constituted by a sustained, spatially distributed, heterogeneous, potentially re-locatable and dynamically adaptive observing network that integrates through data management and numerical methodologies to exploit the synergies between both the observational network, per se, and between the observational network and the numerical models, with the aim of providing a complete and integrated description of the physical and biogeochemical properties of the marine environment. Engineering and Technology Development Division (ETD Division), provides the engineering and technical backbone to develop and operate the facilities of the Systems Operation and Support Division and is also responsible for the application, development and testing of new technologies for future observing systems and for developing new analytical tools for the effective management of high volumes of observational data and modelling output. The Strategic Issues and Applications for Society (SIAS Division), is designed to develop applications and operational tools for science-based management of the coastal and marine environment, within the general frame of sustainability science, as the sound management of the coastal zone is of utmost importance to guarantee the quality of life of residents and the competitiveness and sustainability of the economic activity in the Balearic Islands. This Division thus supports the development and transfer of strategic knowledge to meet the needs of society in the context of global change. 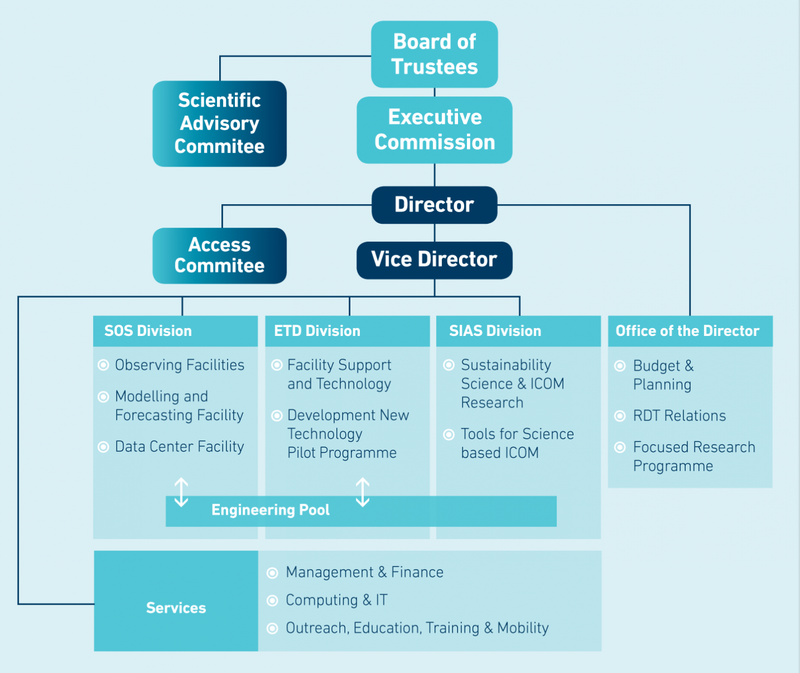 The final component of the SOCIB structure is the Office of the Director. This Office is responsible for SOCIB strategic direction, budget planning and the communication with the consortium’s governing bodies.